Dr. DeLoach taught 7th through 12th grades for 13 years. She taught Algebra I & II, Geometry, Physical Science, and Honors Geometry as well as performed as the in-school detention teacher at Ellison Ninth Grade Center and Tomlinson Junior High School. She taught at Ellison Ninth Grade Center, Leesville High School, Tomlinson Junior High School, Central Junior (Middle) School, and Lawton High School. Additionally, she was Teacher of the Year at Central Middle School in 2003-2004. Dr. DeLoach served as an assistant principal for eight years at Central Junior (Middle) School and three years as assistant principal at Eisenhower High School. She was the building principal at Central Middle School in Lawton, OK. Also, she was the building principal at Lawton High School. Additionally, she coached the High Steppers (Dance Team) at Lawton High School for three years. 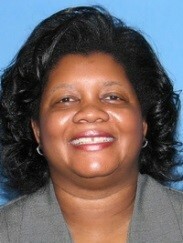 Presently, Dr. DeLoach is the building principal at Eisenhower High School. Further, she created a Step Team at the Ellison Ninth Grade Center in Killeen, TX and served as an assistant sponsor for the Step Team at Tomlinson Junior High School in Lawton. Further, she served on the Oklahoma North Central/Avanced Accreditation Committee for six years. She is the recipient of the Kappa Delta Pi Award. Dr. DeLoach has recently been named the Educator of the Year by the Lawton chapter of Alpha Phi Alpha Fraternity Inc. & Omega Psi Phi Fraternity, Inc. Moreover, she was named the first educator of the year by the Women of Color Expo that is sponsored by the K98 Radio Station in Lawton, Ft. Sill. Further, she has also won numerous military awards and two Military Spouse Awards: the Dr. Mary E. Walker Award and the Bronze Wahatchee Award. Dr. DeLoach left the Army as a Captain in the United States Signal Corps. Also, Dr. DeLoach earned her Doctorate Degree in Education Administration, Supervision and Curriculum from the University of Oklahoma, her Master of Education Degree in Educational Administration from Northwestern State University in Louisiana, and her Bachelor of Science Degree in Physics from Southern University. Finally, she has contributed in the Lawton-Ft. Sill community in many ways. She is an active, life member of Theta Upsilon Omega Chapter of Alpha Kappa Alpha Sorority, Inc. as well as she is a charter member of Sigma Rho Omega Chapter of Alpha Kappa Alpha in Shreveport, Louisiana. Next, she is a member of Lawton's Union Baptist Church family. Also, she is a lifetime member of the Lawton Branch of the NAACP. Dr. DeLoach's husband is LTC (ret.) Eugene DeLoach, Sr. who is employed at Ft. Sill. Also she has two sons: Dr. Eugene DeLoach, Jr. & Brandon Diante DeLoach. Her favorite quote: "Hard work pays off!"